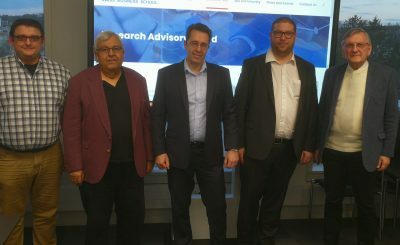 The Research Advisory Board met this month to discuss JABR and future projects! From the left to the right: Dr. Barbi, Dr. Borboa, Dr. Joslin, Luis Junqueira, Dr. Turner Absent on the picture: Dr. Sarnovics, Dr. Ramesh, Dr. Christopher, Dr. Kahveci. Some of our RAB publications! Copyright © 2019 by SBS Swiss Business School. All Rights Reserved.